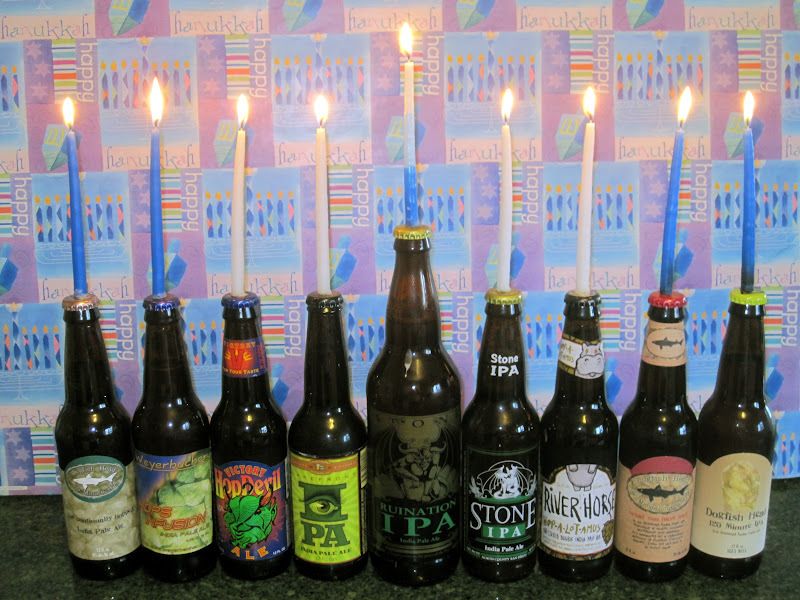 Shmaltz's Build Your Own Beer Menorah Photo Contest Deadline is Today! Just a quick heads-up that all submissions for Shmaltz Brewing's 2nd Annual "Build Your Own Beer Menorah" photo contest are due by today, January 31, 2012. Winners will be announced via Shmaltz's Facebook page on Wednesday, February 1, 2012. In December 2011, Shmaltz launched the 2nd Annual "Build Your Own Beer Menorah" photo contest with the limited-edition release of the HE'BREW Holiday Gift Pack® featuring eight prized Shmaltz creations (Chanukah candles and Beer Menorah instructions were included in each Gift Pack). Photo submissions should be sent to beermenorah@shmaltzbrewing.com to enter to win a special prize from Shmaltz Brewing. For Chanukah 2011, Shmaltz updated the HE'BREW Holiday Gift Pack® with eight different 12 oz bottles of beer: Genesis Ale®, Messiah Bold®, Origin®, Jewbelation 15®, Reunion Ale '11®, Bittersweet Lenny's RIPA®, Hop Manna® (brand new IPA, hitting shelves in February 2012), and a surprise bottle of Jewbelation® (one vintage selection from Jewbelations 8 - 14). To help beer fans get further into the holiday spirit, the Gift Pack® includes a custom HE'BREW glass, Chanukah candles, and instructions on How To Build Your Own Beer Menorah. Shmaltz is still accepting submissions for its 2nd Annual Beer Menorah Photo Contest until Tuesday, January 31, 2012. The winner will be chosen by their peers online and rewarded handsomely with special Shmaltz prizes. So if you've been planning on entering but have been procrastinating, you better get on it right now! Please note that you have to use Shmaltz's gift pack as the bottles, unlike Brian's awesome entry above. 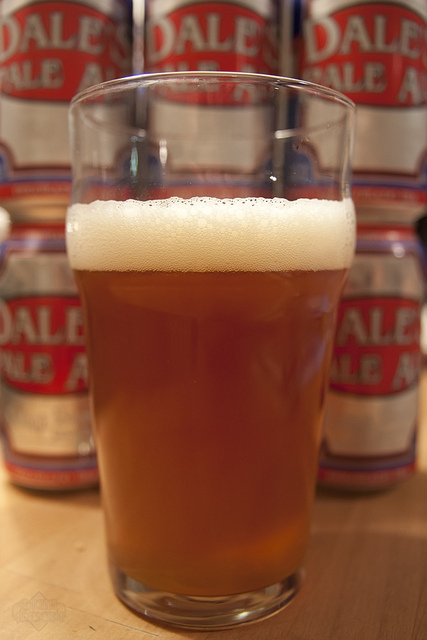 Today's post features Oskar Blues' Dale's Pale Ale, one of the best canned beers out there. It was submitted by the great photographer Daryl Meek aka Hepcat75. Dale's is easily one of my go-to beers when I'm looking for something hoppy, delicious and also easy to drink quite a few of. You can check out Daryl's photos on his website digitalartscape.com. Today we've got a very cool shot of Goose Island Fleur submitted by Vinny Vicidomine. For those who haven't had this one before, it's a Belgian Style Pale Ale with Hibiscus and Kombucha Tea thrown in. 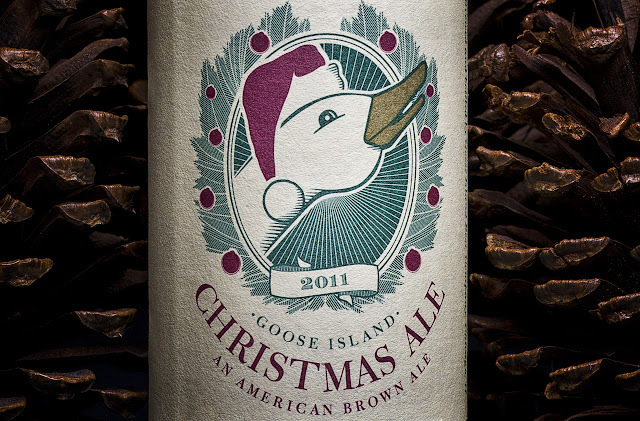 I know there are some beer geeks out there that have decided to write off Goose Island now that they're owned by the big boys, but I think as long as they're still producing quality beer I'll still be supporting them with my wallet. Today we've got Lost Abbey bottles featured on the site, submitted by Jonathan Miller to celebrate their recent move into New Jersey. Jon took this photo at Canal’s Discount Liquor Mart in Berlin, NJ which is now carrying both Lost Abbey and Port beers, much like many other great beer stores across the state. Jon is a reporter for New Jersey Craft Beer, and if you live in or ever visit NJ, you must check it out. What started as a way for our cellarmen to propagate yeast for our summer seasonal Farmer’s Tan has taken on a life of its own. Originally brewed as a house draught brand and made in very limited quantities, Eurotrash Pilz is now available in our seasonal lineup. Fitting perfectly between Old Man Winter and Hop Sun, this addition will help bridge the gap between winter and the summer months. 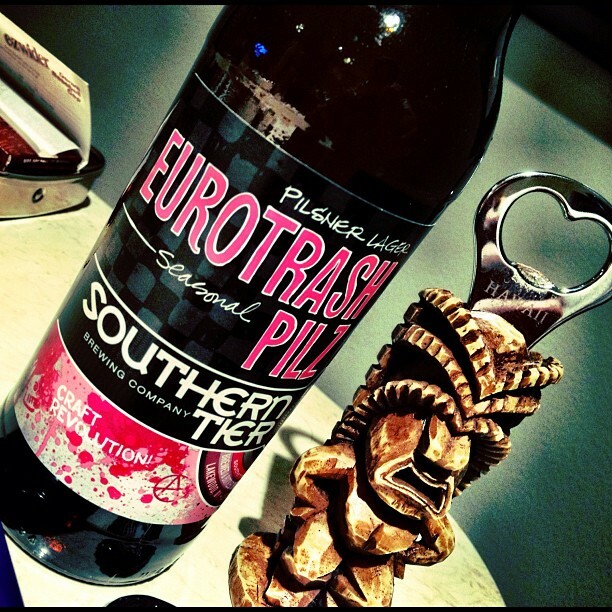 Eurotrash Pilz is a lighly carbonated, malty pilsner, and is perfect for session drinking at a moderate 5.2% abv. Sounds good to me. I haven't seen it around yet but I'll definitely pick some up when I do. This is a rare bottle of Jolly Pumpkin's Biere De Mars Grand Reserve and also one of the best brews I have ever had the privilege of tasting. Stephen also wanted to send a special shout out to welcome home Josh Eppard and that this photo was specifically for one Howard Stern Staffer, Richard Christy. You can check out Stephen's other photography on Photobucket. Yesterday I had the extreme pleasure of brewing a beer with Sixpoint for their upcoming charity event Beer For Beasts. This was my first time visiting the Red Hook brewing facility, and it's shockingly small. Some of their brews and their nanokegs come out of the Lion Brewery in Wilkes-Barre, so they've probably saved some space that way. Other than having to take the subway and a bus in order to get to it's remote location, it's a great little brewing concern. I worked with Pete Dickson who's been brewing with Sixpoint for about a year now. The photo above is the system we used to make the 21 gallons or so of the beer that will be consumed at Beer For Beasts at the end of March. The recipe was my homebrew "Old Lidblower" scaled up from a 5 gallon batch. We actually missed our OG by a bit, which we assumed was probably because of the large amount of specialty malt (black, chocolate, dark crystal). But hey, that's okay, beer is beer and it tasted great before going into the fermentor. Here's the mash. It was really nice to have a 3 part tiered system versus what I'm used to in my kitchen. It just makes everything way smoother. It made me really want to purchase a pump instead of using my auto-siphon all the time. And we have a boil! This is when it really started smelling terrific. And here we have the label on the side of the fermentor after the brew day was done. We actually put it into a Blichmann conical fermentor which was pretty cool. I'm used to simple brew buckets. It was a great time hanging with the Sixpoint guys and also incredibly fun to brew on a larger system with a professional brewer. Do you want to try this beer? Then you have to come to Beer For Beasts! The Bell House (149 7th Street, Brooklyn, NY). All proceeds to benefit The Humane Society of New York City. Tickets for Beer for Beasts go onsale Wednesday, February 1, 2012 at 12pm/ET. Each ticket will be $60 and include access to one session (1-5pm or 6-10pm), beer and food tastings, and entertainment. 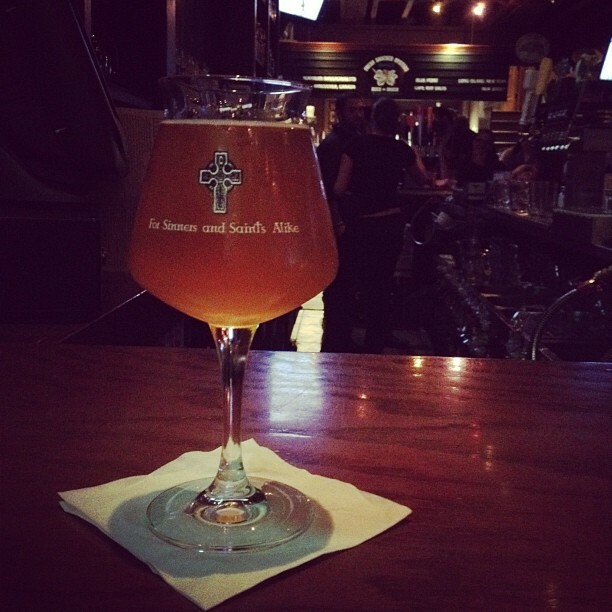 Today's photo features Lost Abbey Red Barn Saison submitted by G-LO aka @boozedancing. 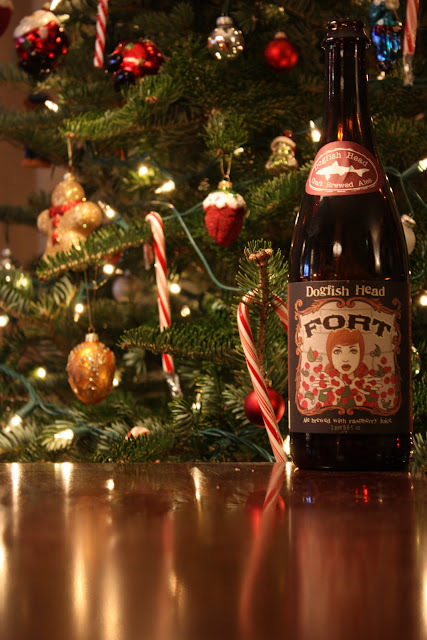 Not only is this a great, mouth-watering photo but it's also worthwhile to note that Lost Abbey / Port Brewing recently expanded it's distribution into New Jersey. This is great news for those of us that live in NJ, and marks yet another great craft brewery stretching itself across the country. Let's hope that they'll be able to maintain and not have to pull out of some states like some breweries have had to do. Check out G-LO's blog It's Just the Booze Dancing for more great photos and beery stuffs. 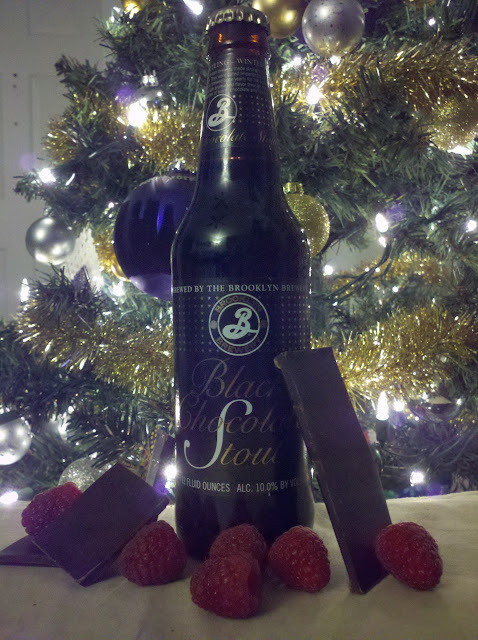 Today's photo features a fantastic photo of Brooklyn Brewery Black Chocolate Stout submitted by Robert Rizzolo. I just want to see that beer opened right NOW! And then drink it of course. 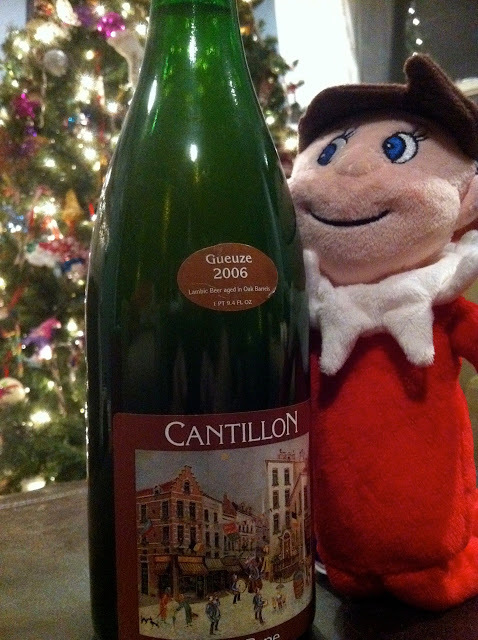 Check out Robert's awesome new blog Of Malts and Monks to see some of his other great beertography. Today's photo comes to us from Jon-Claude Dalimonte and features Ithaca's wonderful hoppy Red Ale, Cascazilla. Ithaca Beer Company is currently building a brand new brewery, you can check out photos of their progress on their website. 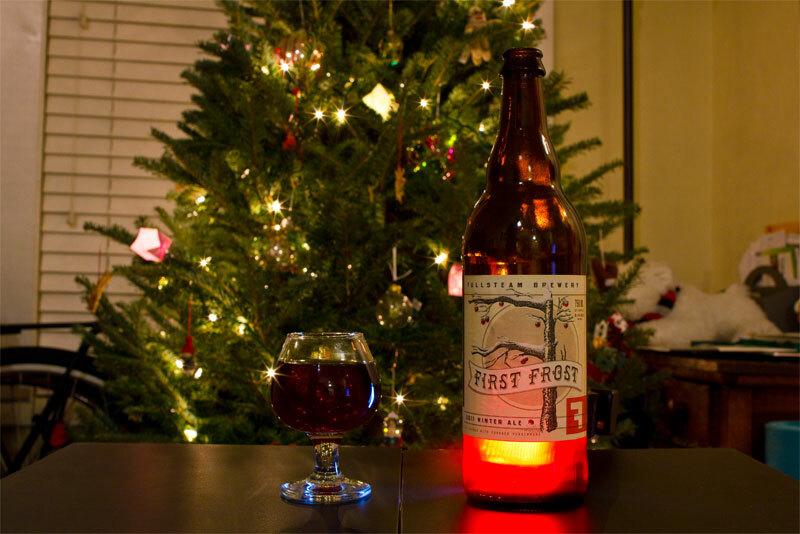 Check out this review of the beer from The Full Pint. Today's photo comes to us from Matthew Bambach and features a beauty of a shadow inside a Hill Farmstead glass. I just love everything about this photo. You may remember our Vermont Beer Road Trip this past June that had a stop at the brewery in Greensboro Bend, VT. We have to go back! Who wants to road trip it? 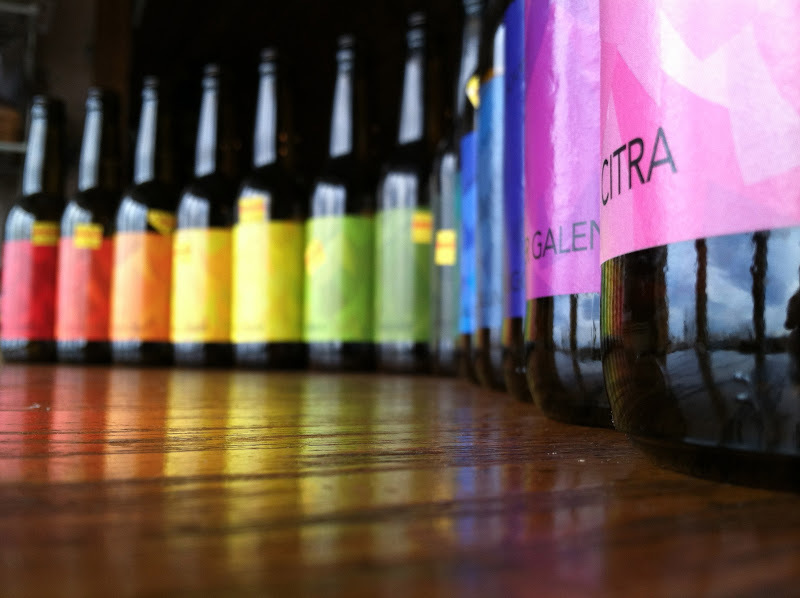 Go check out Artistic Ales on Facebook, Matt's Beer Photography album. Thanks Matt, hope we see more from you! Today's photo features Brooklyn Brewery Local 1, submitted by Jake Austin. 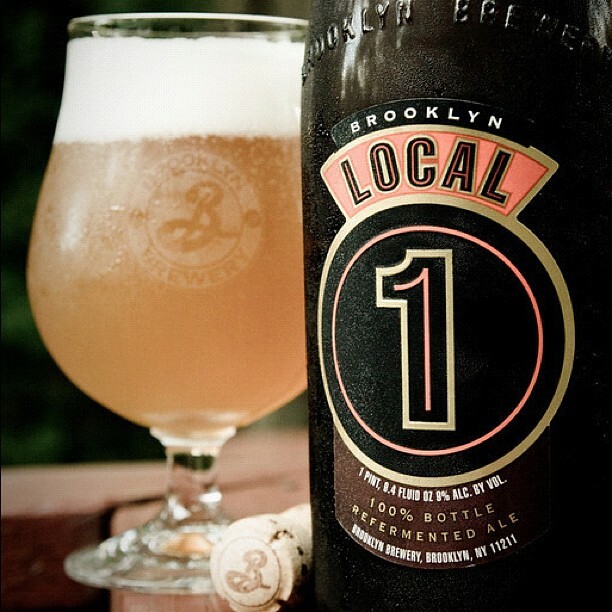 It feels like just yesterday that Local 1 hit store shelves for the first time, but it's actually been around for almost 5 years now. And it's still dang good. Check out Jake's blog here. 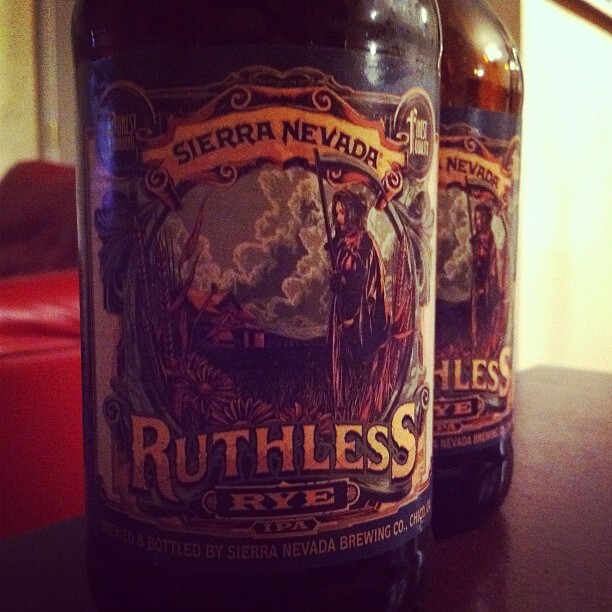 Today's photo features Sierra Nevada Ruthless Rye, submitted by Jenn S. This is Sierra's newest release and replaces Glissade which was their Spring seasonal. I haven't even seen this one on shelves yet. How is it? Interestingly enough, there's already been another Ruthless Rye by Barrier Brewing Company. Guess there's no problem there though as most (all?) of Barrier's beers are one-offs. Today's photo features the full lineup of the Mikkeller Single Hop Series and was submitted by Robert Rizzolo, the winner of our Brooklyn Brewery Beertography Contest back in November. If you're unfamiliar with the idea of a Single Hop Series, it really is just what you'd think it'd be. Mikkeller uses the exact same malt for every single beer but then each beer only gets one variety of a hop added to it. If anyone out there is studying for the BJCP Exam, these beers are a great way to familiarize yourself with the aroma and flavors of individual hop varietals. Robert said that this was how he spent Christmas with his brothers. I highly approve. Thanks for the photo Robert! Sidenote: How do YOU pronounce Mikkeller? I've been saying it "mih-keller" but lately I've heard both "MICK-uh-ler" and "mee-kuh-ler". Thoughts? Continuing our international series, today's photo features BrewDog 5 A.M. Saint and was submitted by Heiðrún Bryggeriet from Stockholm, Sweeden. What are your thoughts on BrewDog? I know they've sort of polarized the craft beer community. Do you like them? Love them? Hate them? 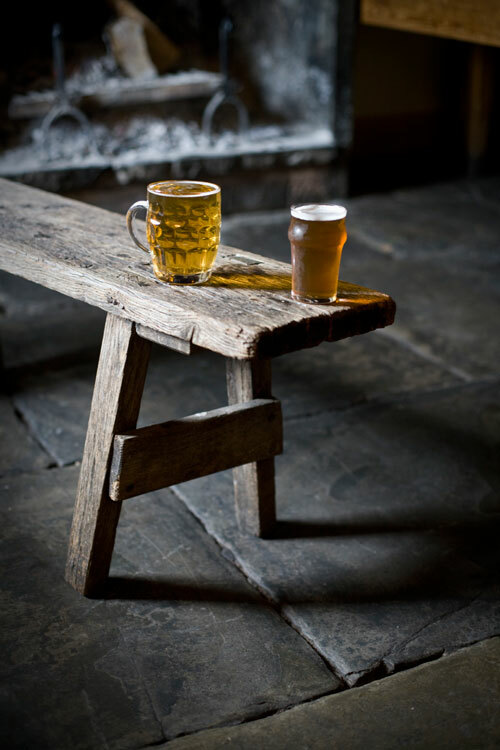 Today's photo was submitted by Bill Bradshaw and features a photo taken at his local pub, The Halfway House in Pitney, Somerset, United Kingdom. Bill is a freelance photographer specialising (UK spelling!) in cider and beer. This reminds me of two things: 1) I want to try more artisanal ciders, especially after listening to the Beer Sessions Radio podcast on Cider Week. 2) I really need to visit England, amongst many other places in Europe. Somehow I've been sheltered from international travel and have only made is as far as Iceland. You should go check out Bill's website at billbradshaw.co.uk and also his blog at iamcider.blogspot.com. Happy 2012! 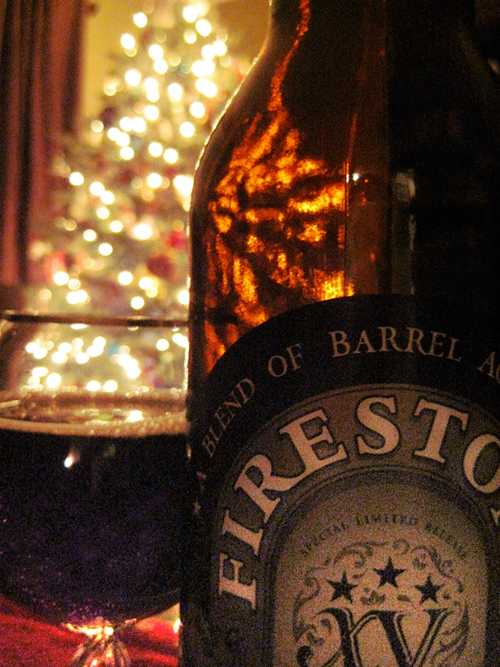 I hope everyone's holidays were excellent and beer-filled. In case you missed it, Charlie Scudder came home with the Whole Foods prize pack after a heated back-and-forth on Christmas Eve and a grand total of over 1000 votes! Congrats to Charlie. Also, Emily & Matt at Tapped Craft Beer Events have decided to award Brian Altschul, the VERY close runner-up with at $25 Whole Foods gift card. So awesome. Congrats to Brian as well, and thanks to everyone else who entered! Since we got quite a few awesome entries, I thought I'd post a few more today for all to see. Thanks again to our partners Tapped Craft Beer Events and Whole Foods. 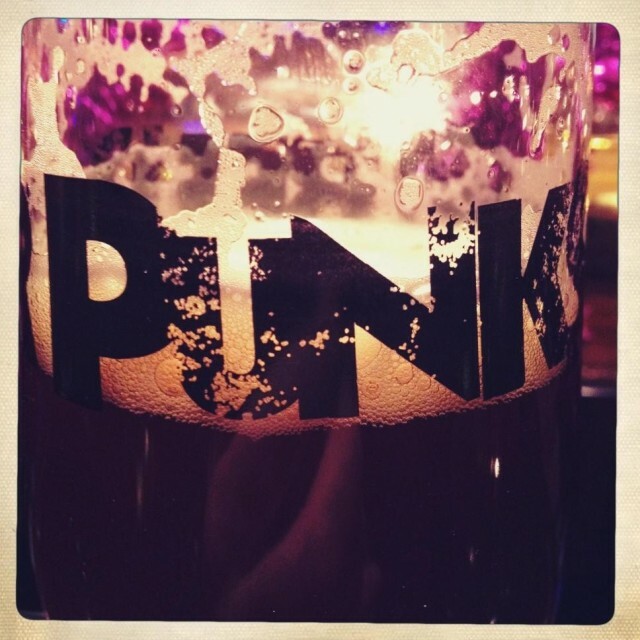 Keep an eye out for more Beertography Contest in the future! 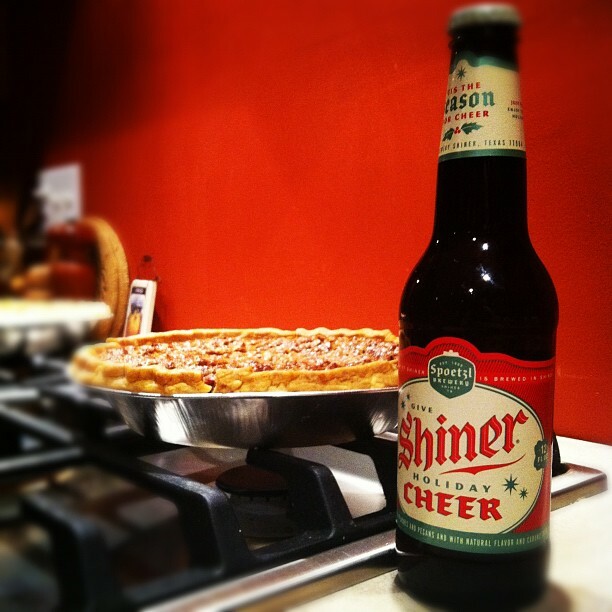 Don't forget, if you would like to have your photos featured on the site, please email them to beertography@gmail.com. 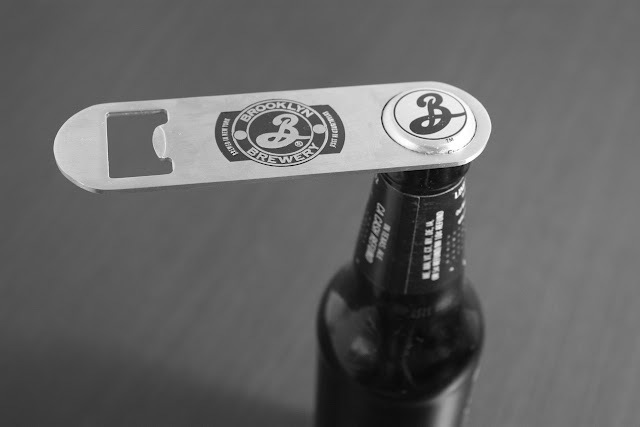 Or if you're on the go, you can tag your tweet with #beertography and/or mention me @beertography.